Celtic Woman Giveaway – Signed Copies! I always get a tiny thrill when I’m flipping channels and catch a glimpse of the beaming faces of Celtic Woman. Since I have a fondness for all things Celtic from the music to the knotwork, they naturally make me happy. Their new album, Believe , is an enchanting mixture of Irish songs, classics, and modern popular music, all remixed in their signature sound. It has moments of great joy, of reflection, and of inspiration – I love the emotional journey that their music creates. They were in Birmingham on tour a couple of weeks ago, and my friend Jennifer was fortunate enough to be able to attend. I asked her to tell me about the concert, and I have to say, I’m now a bit jealous. A couple of weeks ago, my sweet husband took me to the Celtic Woman concert for my Valentine’s Day gift. I’ve seen them numerous times on television, and have always wanted to see them live. Oddly enough though, I was a little nervous about finally getting the chance. I think I was afraid that after wanting it for so long, the experience might not live up to my expectations. It turns out I was worried for nothing. Not only did it meet my expectations, it blew them away! It wasn’t just a concert, it was a complete immersion into the culture of Ireland. Not just the songs, but also the instruments (fiddle – by the absolutely amazing Mairead, Irish flute, bodhran, bagpipes), the Irish dancer, Craig Ashurst (who was completely thrilling to watch), the way they spoke to the audience and drew us into what makes Ireland – and Celtic Woman – so charming, so beautiful, and in a way, so mysterious. I don’t have to tell most of you their voices are angelic. I want to be a Celtic Woman so I can sing like that. My 2 favorite songs of the night had to be “Ave Maria”, sung by Chloe Agnew, and a very traditional Irish song called “Teir Abhaile Riu” – sung by all 3 of the ladies. They even taught the audience the chorus to a traditional Scottish drinking song, called “Green Grow the Rushes-O”, and had us sing along with them, which I thought was quite fun. The concert ended with a very rousing jig played by the instrumentalists, and had us walking out of the concert hall with a definite bounce in our step. It was a wonderful concert, and just when we thought it was over, we were met with the bagpiper in the lobby, playing for us all as we exited. I hope I am able to see them again the next time they come in town. You should plan on it, too. I have a signed copy of Celtic Woman’s Believe CD AND a signed copy of their Believe DVD that I’m going to give away to two lucky people! Follow Celtic Woman on Facebook or Twitter. Follow or subscribe to my blog. This giveaway is open until Monday, March 12th. The winner will be randomly selected and posted on my giveaway winners page on Tuesday, March 13th. Disclaimer: I was given a copy of the CD and DVD for review purposes, but was not compensated in any way to write this post. My opinions are always my own. Next Post The Missing Steps. I must, must win the DVD. Watched them one time with a friend and fell in love with watching them and their music. I have a very special friend who would LOVE this and she just happens to have a birthday coming up! I already follow you on Twitter and Facebook! Entering for my Hubby, He LOVES Celtic Woman. He “likes” Celtic Woman on FB. And his 30th birthday is March 9th! Enter me! Everytime I watch one of their shows I want to learn to play the violen and invest in some long sequined dresses. Would love to win the CD. I am learning to play the violin. May this cd will give me the inspiration I need. I follow your blog everyday. Thanks and have a bless weekend. 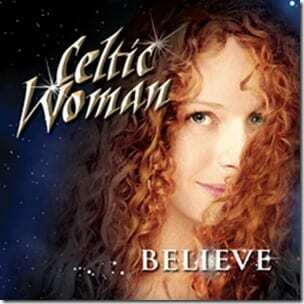 Believe it or not, I’m not that familiar with Celtic Woman. But it sounds like music I would enjoy. Thank you for your consideration. I love this. The music is so relaxing. me mom loves this group! I get to see Celtic Woman occasionally on our local PBS channel—and I would love to win so I could enjoy them whenever I want to. I’m following Celtic Woman on twitter as @Suekey12. I’m following you on twitter as @Suekey12. I like watching and listening to them on PBS. I’d love to have this. The music is incredible. I follow Celtic Woman on Facebook. I follow you on Facebook as Betty Curran. I love Celtic Woman.Thanks for the chance to win. I like Celtic Woman on FB as Leslie Luke Stanziani.Thanks! I like Grasping For Objectiviy on FB as Leslie Luke Stanziani.Thanks! 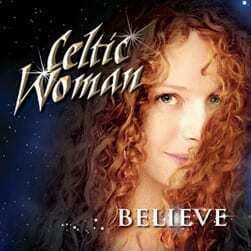 I would love to win this, I love Celtic Woman!